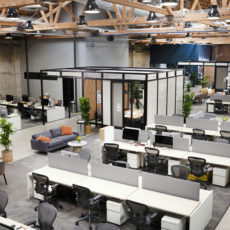 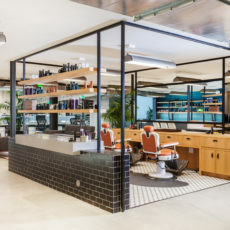 Having quickly outgrown their space, Dollar Shave acquired the warehouse next door and enlisted Rapt Studio to create a 50,000 sq ft headquarters to house all their employees under one roof. 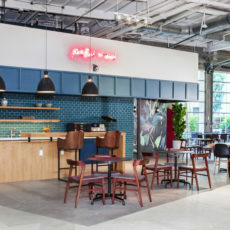 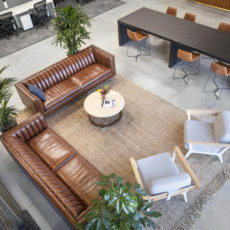 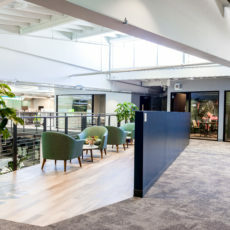 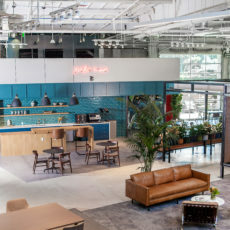 They focused on connection, collaboration, and comfort for both employees and guests. 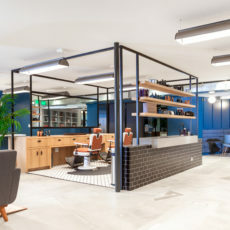 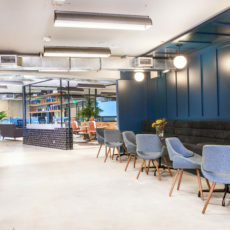 The office supports creativity and collaboration with communal work spaces, squad workshop and meeting spaces, and covetable amenities including massage and relaxation rooms, dining spaces, a coffee bar with barista, a bike room and showers, and of course, a barber shop. 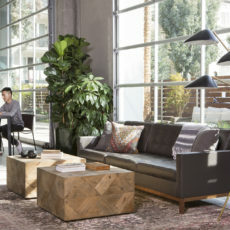 Wood, leather, and blackened steel furniture finishes complement the architecture, while plentiful greenery, natural light, and flow to an outdoor patio make the space feel friendly and relaxed. 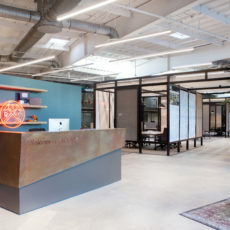 Read more about this great project on Who's Building L.A.